Alafair Burke is a novelist, a professor of law, and a legal commentator. She is the author two series of crime novels a number of standalone novels and also legal papers. Her books have been translated into 12 languages. Ayo Onatade: -You will have two books published this year in the UK. If You Were Here in April, which was a standalone novel and features McKenna Jordan (whom most of us know in real life is the owner of Murder by the Book Bookshop in Houston) as an investigative journalist. What gave you the idea for the storyline? 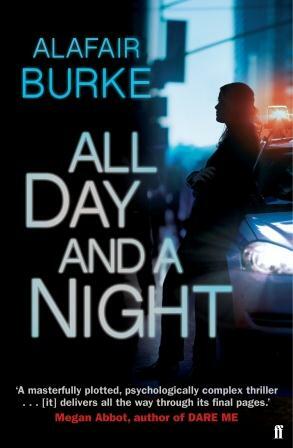 Alafair Burke: - Despite the use of McKenna’s name, the marriage at the centre of the book is loosely based on my own. Like me, McKenna is a former prosecutor turned writer. Like my husband, McKenna’s husband, Patrick, is a West Point graduate who now does security management for the Metropolitan Museum of Art. In real life, the lack of a common history between us (we met online) made it fun to get to know each other from true scratch. But as a writer who spends time occupying a fictional world, I have always wanted to find a way to mine the potential for secrecy in a relationship where either party could by lying about the past. From that came the story of McKenna’s search for her missing friend, Susan, who was a fellow West Point cadet with Patrick. You have an official sound track for If You Were Here. What made you decide to have one and would you in hindsight liked to have done it for any of your earlier books? I did it for IYWH to answer the frequently asked question of whether the book title was related to the Thompson Twins song by the same title: yes! I also named sections of the book after other songs whose lyrics connect to the content of the book. I thought it would be a fun way for music lovers to enjoy a secondary track of the book. It might feel forced to try it with every novel, though. This came naturally. The second is All Day and a Night which is due out in July and which sees you return to Detective Ellie Hatcher. It is part police procedural and part legal thriller; how much does it draw from your real life? Sometimes it’s an act of self-therapy to try to find your own life in your written work. 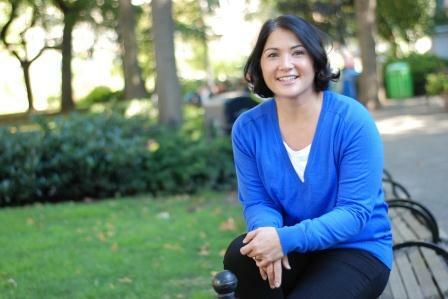 Certainly I identify with the young defense lawyer Carrie Blank, who is half Asian and manages to work her way up in the world through education and hard work. And like all my novels, I draw constantly on my work experiences as a prosecutor, both in the courtroom and as an advisor to police at the precinct. I don’t. I’m pretty lazy. I’m in my comfort zone when I write what I know first-hand, so the closest I come to “historical” is flashbacks to the 1980s. When I do need expertise I don’t have myself, I have an extensive electronic Rolodex filled with cops, emergency room physicians, medical examiners, sommeliers, and bankers. If I meet anyone with potentially helpful expertise, I keep their contact information! You write two different series one involving Samantha Kincaid and the other Ellie Hatcher alongside your standalone novels. Is there any part of you in either Samantha or Ellie? Probably. Certainly Samantha Kincaid’s work life is directly based on my previous job as a prosecutor in Portland, Oregon. And Ellie’s backstory—growing up in Kansas, but then moving to New York—mirrors mine as well. Will we see any more of Samantha Kincaid? I’d like to get back to her when the time is right. What would readers find if they were to look in both Ellie’s and Samantha’s refrigerators? Samantha: dog food, a lot of chilled wine, and a lot of ingredients she bought last weekend from the green market with the most optimistic hopes of eventually using them. How important is place in your novels especially New York and Portland? I want location to be a main character. I started writing about New York only after I’d lived here long enough to love it and be able to bring it to the page in an uncliched way. I also saw new plot possibilities in New York. My first three novels (the Samantha Kincaid series) were set in Portland, Oregon, where there is no such thing as anonymity. The plots of those for three books took advantage of that city’s small landscape. In the New York books, in contrast, I can’t have characters just happen to know everyone they bump into on the street. I can, however, tap into that uniquely New York feeling of being completely alone in a crowd. You wrote a number of Ellie Hatcher and Samantha Kincaid books before deciding to write a standalone. What made you decide to go down that route? Believe it or not, it was the economy. Several years ago, at what hopefully was the height of the recession, I was reading all of these stories the psychological toll that prolonged unemployment brings. I started thinking about the risks someone might be willing to take just to have a job. And I’d walk around New York, seeing all these closed storefronts and started wondering what it would be like to show up to work one day and find that everything was gone. But it didn’t work as a series book. I wanted it to be from the perspective of someone who was in the middle of the nightmare. From that came Alice Humphrey. After eight months of unemployment, she’s desperate enough to take a job that sounds too good to be true. And it turns out to be a big mistake. Voila! Book plot. I freely admit that like many others I am a big fan of your father James Lee Burke’s work especially The Tin Roof Blowdown. How much an influence has he had on your writing? I believe that you started writing crime before he did? There’s no doubt that having a writer for a father and a librarian for a mother shaped my passions for reading and writing. Our house was filled with books, and every member of our family is a storyteller. And I saw him write every single day, even when he was out of print for a decade, so I’ve learned (some would say the hard way as his kid!) that you need to write for reasons other than income. But our work is very different, of course, and he was already a two-time Edgar winner by the time I published my first novel. One of the good things about being part of the crime fiction community is the camaraderie that goes along with it. Would you agree with this and what part of it are you especially fond of? I have made tremendous life-long friendships in this community and am constantly impressed by the level of support individual writers provide to each other, both formally and informally. There seems to be an implicit “pay it forward” philosophy. You currently teach criminal law at Hofstra University. How do you juggle both and what do you students think of having such a successful author as their lecturer? I just have to be efficient at all times. My friends joke that if fifteen minutes go by without something fun happening, they find me pulling out my laptop. My students? They could care less. They’re law students: unless it’s on their final exam, it has nothing to do with them. So how are Double and Frannie getting along? How big a difference has it been now having two dogs after only having one for such a long time? They are so adorable together, a true Mutt and Jeff combo – one lanky, brown, and sweet, the other stocky, white and black, and a little bratty. They just love each other. It makes me a little less relevant because they’re now best friends, but that makes me happy. Mary Higgins Clark and I are collaborating on a new series based on her most recent book. The first in the series will be called THE CINDERELLA MURDER, and we’re just about finished with it. And I’ve started my next book, too, a standalone I can’t describe because I’m not entirely sure what it’s about yet. What do you find most distracting whilst you are trying to write? The Internet! I went so far as to install Freedom, software that basically takes my expensive computer and turns it into a typewriter by turning off internet access. Any chance of you touring the UK? You can find out more about Alafair Burke and her work on her website. You can also follow her on Twitter @alafairburke and she can also be found on Facebook.